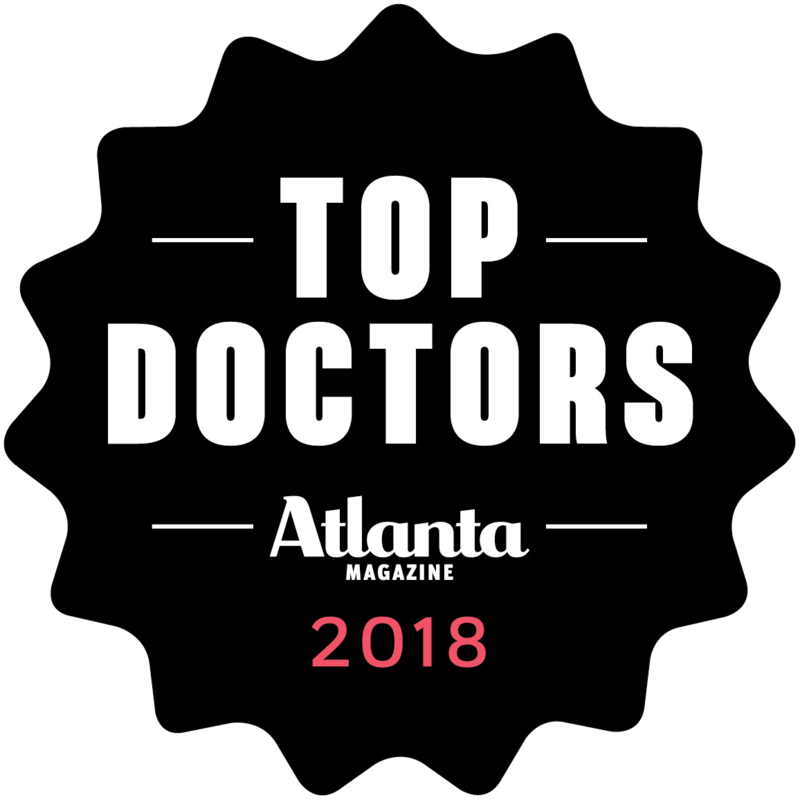 I am a physician in Georgia and did not like how my hair loss was going. I investigated different options and felt the ARTAS® system was the route I wanted to go. I met with Dr Ken Anderson and knew this was the surgeon I was going to use. His office staff is superb. Everyone is knowledgeable, helpful, and friendly. They return phone calls promptly and answered every question imaginable that I threw at them. Dr Anderson takes his time to perform the procedure correctly. He clearly goes above and beyond to make sure the transplant is successful and his aftercare instructions are thorough and meticulous. 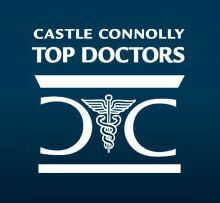 I have been extremely pleased with my decision to have this procedure and specifically with the outstanding care from Dr Anderson and his team. I felt like I had a friend helping me every step of the way through the procedure, from the initial consult, to selecting a date, to the procedure, and now with the aftercare. 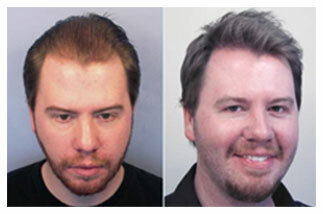 There is no other choice for hair restoration – Dr Anderson is phenomenal. Three words that describe Dr. Anderson? Knowledgeable, professional, and COOL. Knowledgeable-Knows and describes the procedure and what to expect. Answered any and every question we threw at him, especially the wife. And she threw a LOT. Professional-We were on time, he and the staff were on time, and we got started right away with the procedure. I appreciate the fact that there was no time wasted. 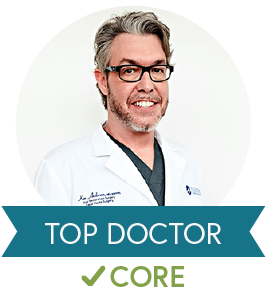 Cool-Dr. Anderson has that type of personality that makes you feel at ease. In addition to discussing the procedure, we discovered that we had a lot of middle age issues in common. That helped, because he understood and could relate to what I was trying to do. 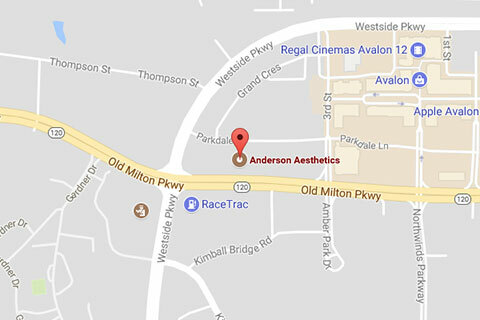 Dr. Anderson is a great person to work with, and he has an awesome staff as well. If you’re thinning or balding, make an appointment and have him talk to you. If nothing else, you will walk away, considering the option of hair replacement. I did. As an African-American man, it is now the norm within our culture that when we start thinning or start going bald, we generally go ahead and accept it, especially with pressure from our peers, who always say, “Oh, just go ahead and cut it all off.” I was thinning in the front, but just couldn’t accept cutting it all off, which is why I did this procedure for my 45th birthday. I had been totally bald before, that was when I pledged my fraternity, and in the end, I looked like an ostrich. You have to have the right type of head to rock a bald dome, and I don’t have one of those, sorry. Anyway, this procedure turned out to be one of the best things I ever did, and surely one of the best birthday presents I ever gave to myself. Before, I was skeptical, because I had heard about and seen the horror stories about African American men and hair replacement (leaving a scar around the donor area and having to grow hair out at least one inch like it was the Sixties and Seventies all over again. Who does that in 2015?). Even during the consultation, my doctor gave me fair warning about the ARTAS® hair procedure, stating that it might not work, based on the curvature of the hair follicle under the skin. 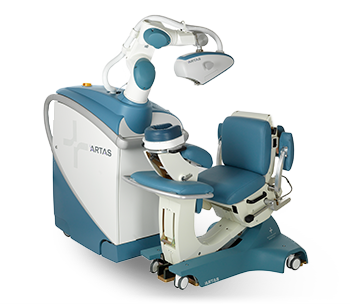 The ARTAS® is designed to pull straight roots out, and is still in the experimental stage. There are still some calibrations to work out in order to service everyone. Now I’m 45, hair just started thinning in the front at 41, so I figured I had nothing to lose. After all, if it DIDN’T work, the next best thing that was suggested was the other procedure which left the scar (I wasn’t having that). I was also told that I would be only the second African American man in the office that my doctor would have used the ARTAS® robotic procedure on , which made me a pioneer. And if it worked…then I could share my success story and possibly inspire others to try it. Not just African American men, but EVERYBODY. He shared with me the entire procedure, including pre- and post-operative events. He also told me to decide with my wife what we wanted to do before we came back; that is, do the second procedure that left the scar if the ARTAS® didn’t work, or walk away from it all. We decided to walk away if it DIDN’T work. We went in the next day for the procedure, the team took a small graft of hairs from an experimental spot, and the extraction began in order to see if it would work. The ideal maximum number of grafts needed with the procedure was 90, but we only needed a minimum of 50 to proceed. We got 74, so I was good. From that point, we worked until we got 574 grafts (being that my area was small, I only needed 500), so that was GREAT! After the extractions, the grafts were put in the recipient area and I was on my way. Following up, I am now on Day 9, post-operative. The office provided instructions on what to do and expect , including taking antibiotics, anticipated swelling, and having to sleep upright at a 45 degree angle for three days after, so that the grafts would take (grafts are held in place by tiny blood clots) to the recipient area. So far, I have had no problems, and have experienced very little pain. As far as the recipient area, hair does seem to be growing, so I AM EXCITED! Would I recommend this procedure? YES, DEFINITELY. I would especially extend the ARTAS® robotic procedure to other African American men as a choice that yes, even though you may be thinning or going bald, with this procedure (and a little bit of funding), you CAN do something about it. And the best part about it? Being worry-free about leaving a scar. Again…BEST…BIRTHDAY…GIFT…EVER. As a professional athlete it’s important to always look your best. When I started noticing my hair beginning to thin and fall out I panicked and began to lose my self confidence and self esteem. I couldn’t imagine wearing a hat the rest of my life, so I looked into what type of options I had out there. In my search I came upon Dr. Ken Anderson a specialist in the field of hair restoration. I made an appointment, went to his office and consulted with him and his staff about the options I had. 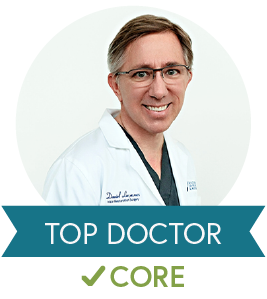 Dr. Anderson and his team were truly the most knowledgeable people I had ever talked to about my issue. I knew my problem was going to continue if I didn’t make the decision to act soon and address the problem. Most people wait until most of their hair is gone before they decide to address it, I wanted to address it right away after speaking to Dr. Anderson. I made the appointment to get started in 3 weeks and all I can say is, it was a life changing decision. Being a professional athlete takes skill and great hands, Dr. Anderson has that skill and great hands in his profession which is why I would never ever consider anyone other than Dr. Anderson to deal with hair loss. 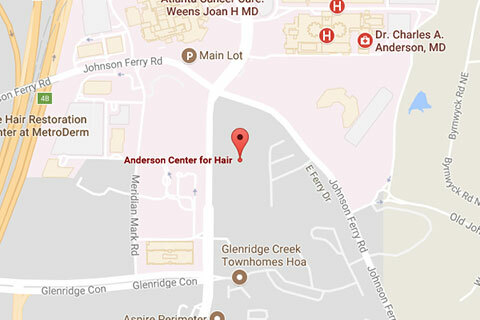 When it comes to hair restoration, if your like me, you want the best The Anderson Center for Hair.